However many times it has been done, the act of casting off the warps and letting go one’s last hold f the shore at the start of a voyage has about it something solemn and irrevocable, like marriage, for better or for worse. 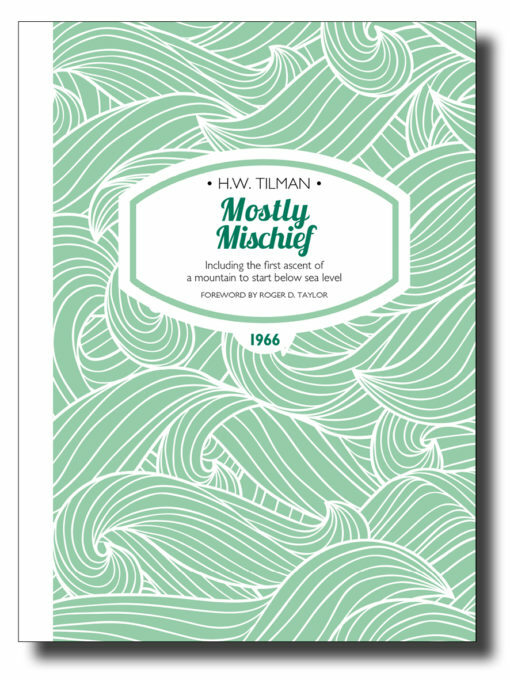 Mostly Mischief ’s ordinary title belies four more extraordinary voyages made by H.W. ‘Bill’ Tilman covering almost 25,000 miles in both Arctic and Antarctic waters. The first sees the pilot cutter Mischief retracing the steps of Elizabethan explorer John Davis to the eastern entrance to the Northwest Passage. Tilman and a companion land on the north coast and make the hazardous crossing of Bylot Island while the remainder of the crew make the eventful passage to the southern shore to recover the climbing party. Back in England, Tilman refuses to accept the condemnation of Mischief ’s surveyor, undertaking costly repairs before heading back to sea for a first encounter with the East Greenland ice. Between June 1964 and September 1965, Tilman is at sea almost without a break. Two eventful voyages to East Greenland in Mischief provide the entertaining bookends to his account of the five-month voyage in the Southern Ocean as skipper of the schooner Patanela. 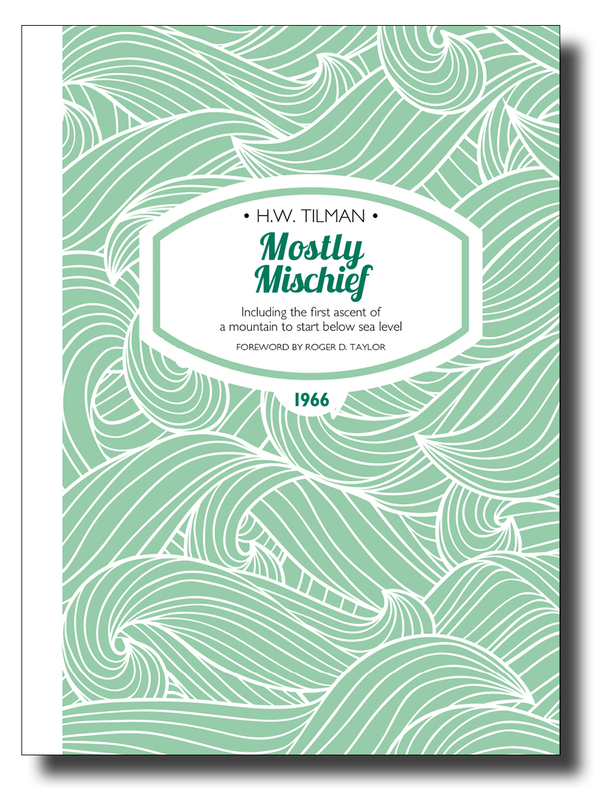 Tilman had been hand-picked by the expedition leader as the navigator best able to land a team of Australian and New Zealand climbers and scientists on Heard Island, a tiny volcanic speck in the Furious Fifties devoid of safe anchorages and capped by an unclimbed glaciated peak. In a separate account of this successful voyage, Colin Putt describes the expedition as unique—the first ascent of a mountain to start below sea level. In a sense his achievements are all the greater for his persistence in the face of constant setbacks—broken spars, blown-out sails, sprung planks, deserting crew and so on. He was no youngster either, when coping with all this. Perhaps that’s one of my favourite aspects of his tales—his indomitable, bloody-minded refusal to give up. But more than that, I come back again and again for the pure quality of his writing—witty, erudite, understated, self-deprecating. There was a lot more to him than the allegedly misogynistic old curmudgeon of popular portrayal. He was a complex man and a deep thinker. Even in the moments of greatest despair, as everything goes wrong for him, one senses that he is looking at it all with a twinkle in his eye. Roger Taylor has been sailing small, engineless yachts to outlandish places for nearly fifty years. He is a recipient of the Ocean Cruising Club’s Jester Medal, and the Royal Cruising Club’s Medal for Seamanship. He lives on a remote croft in north-west Scotland. The Afterword by Philip Temple is taken from his book The Sea and The Snow (Lodestar Books 2016) which describes at first hand the entire Heard Island expedition, voyage and climb. Philip Temple had climbed extensively in New Zealand and West New Guinea before the expedition. He is an author of fiction and non-fiction and was made an Officer of the New Zealand Order of Merit in 2005. He lives in New Zealand. ISBN 978-1-909461-28-4; 216 x 156mm, 216 pages, photos, maps. Softcover with sewn binding, cover flaps and matt lamination.